A new study says the higher a person's immunity to the dengue virus, the lower their risk of a future Zika infection. This news is important to the Caribbean Islands, where both dengue and Zika have been reported by the Centers for Disease Control and Prevention (CDC). Specifically, these researchers assessed the level of antibodies the participants had in their blood system against dengue. This team found that each doubling of dengue antibody levels corresponded to a 9 percent reduction in risk a person would be diagnosed with a Zika infection. "The (data) means that there are some cross-protective antibodies that dengue provides against Zika," said co-senior author Ernesto T.A. Marques, M.D., Ph.D., associate professor in Pitt Public Health's Department of Infectious Diseases and Microbiology, in a press release. "Our study was in a very small urban area, and it is likely that in other parts of Brazil, even different neighborhoods within the same city, people are still susceptible to Zika infection." This study followed nearly 1,500 people living in a poor neighborhood at the heart of the 2015 Zika outbreak in Brazil. And, this study provides evidence that Brazil's Zika epidemic has largely petered out because enough people acquired immunity to reduce the efficiency of transmission. The discovery relied on tests for dengue and Zika developed by Dr. Marques and his team and patented by Pitt. Dr. Marques is scientific director of Cura Zika, an international alliance to spur research into Zika, microcephaly and other congenital conditions it causes in babies. 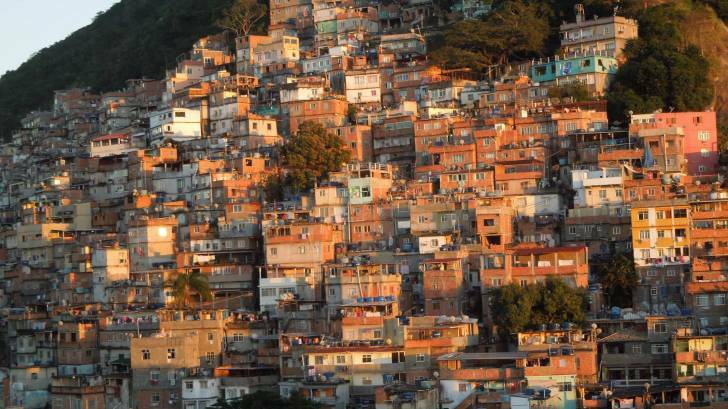 The research team tapped into a long-running study of the health of people living in urban slums in Salvador, a city in northeast Brazil, led by co-senior author Albert Ko, M.D., chair of epidemiology at the Yale School of Public Health. Study participants gave multiple blood samples before, during and after the Zika epidemic. Samples collected in October 2014 and March 2015 were almost entirely negative for Zika, but by October 2015, 63 percent showed evidence of Zika infection. Before the Zika outbreak, a subset of 642 participants also had been tested for previous dengue infection, and 86 percent were positive. Paradoxically, computational models by co-senior author Derek A.T. Cummings, Ph.D., professor of biology at the University of Florida, revealed that participants who had a very recent dengue infection were actually more susceptible to Zika. The scientists suspect several possible explanations: It could be that protective antibodies haven't developed yet or there's something about these people's immune systems that increase their risk of contracting Zika. And the mosquitoes that transmit dengue also transmit Zika, so a recent dengue infection could simply mean they are in a place where Zika transmission is active as well. "Future study may be warranted to assess whether new dengue vaccines could be useful in preventing Zika infection. An additional study also is needed to determine how these findings could prove useful to clinicians,” Dr. Marques said. There is one approved dengue vaccine approved in the EU, Dengvaxia, and others in late-stage clinical trials, such as TAK-003. There are 4 distinct but closely related, serotypes of the virus that cause dengue (DEN-1, DEN-2, DEN-3, and DEN-4), says the CDC. Recovery from infection by one serotype provides lifelong immunity against that particular serotype. Additional institutions that participated in this research are the Universidade Federal da Bahía in Brazil; Universidade de Pernambuco in Brazil; University of Texas; Sustainable Sciences Institute in Nicaragua; Ministry of Health in Nicaragua; University of California Berkeley; and Faculdade de Medicina de São Jose do Rio Preto in Brazil. This research was supported by grants from the Yale School of Public Health; Oswaldo Cruz Foundation, Brazilian Ministry of Health; Brazilian National Council for Scientific and Technological Development (400830/2013-2, 440891/2016-7 and INCT-Dengue); Coordination for the Improvement of Higher Education Personnel, Brazilian Ministry of Education (440891/2016-7); Research Support Foundation for the State of Bahia (FAPESB PET0026/2013, APP0044/2016, 10206/2015 and PET0022/2016); Research Support Foundation for the State of São Paulo (FAPESP 2013/21719-3 and 2016/15021-1); Cura Zika Foundation; Wellcome Trust (102330/Z/13/Z) and National Institutes of Health (R01 AI121207, R01 TW009504, R01 AI052473, U01 AI088752, R25 TW009338, R01 NS064905, R24 AI120942, U01 AI115577, R01 AI099631, U54 AI065359, P01 AI106695, U19 AI118610, R01 AI114703 and U54 GM088491).